Chief executive officer Thabang Moroe has reiterated Cricket South Africa’s ambition to host the World Cup again. 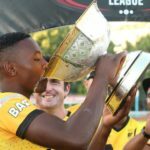 Jozi Stars and Cape Town Blitz players, vast and varied, emerged jubilant and disappointed after Sunday’s Mzansi Super League final at Newlands. 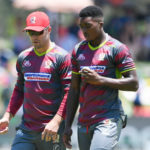 In a straightforward calculation of contract value divided by wickets taken, these are the bowlers that offered some of the best – and worst – bang for buck in the the Mzansi Super League. In a simple formula of contract value divided by runs scored, these are the batsmen that offered good returns on investment during the Mzansi Super League. Eight teams for next MSL? 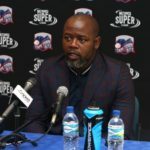 Cricket South Africa chief executive officer Thabang Moroe has hinted the Mzansi Super League will increase to eight teams next year. 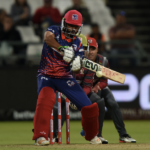 JONHENRY WILSON examines four elements that contributed to the Cape Town Blitz’s eight-wicket defeat to the Jozi Stars in Sunday’s Mzansi Super League final at Newlands. 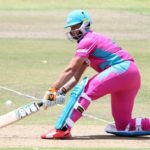 JONHENRY WILSON takes a look at five components that carried the Jozi Stars to a convincing eight-wicket win over the Cape Town Blitz in Sunday’s Mzansi Super League final at Newlands. 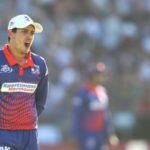 Inventive alternatives to traditional semi-finals are not necessarily the way forward in T20 cricket, and Sunday’s Mzansi Super League final offers a rich contest between the top two teams in the 2018 MSL league. Cape Town Blitz all-rounder Mohammad Nawaz is hoping that success in the Mzansi Super League could result in a recall to Pakistan’s limited-overs teams. 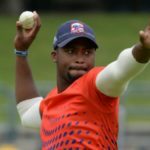 All-rounder Andile Phehlukwayo is confident the Cape Town Blitz will overcome the pressure mounted by Sunday’s Mzansi Super League final against the Jozi Stars or Paarl Rocks at Newlands. Former Proteas captain AB de Villiers has implored South Africa not to ‘put unnecessary pressure’ on fast bowler Lutho Sipamla. 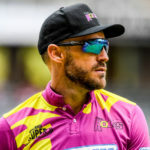 Captain Faf du Plessis is confident the Paarl Rocks can outdo the Jozi Stars a second time in less than a week. 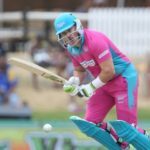 Jozi Stars captain Dane Vilas is eager to capitalise on the momentum gained from recent victories over the Tshwane Spartans and Durban Heat, ahead of Friday’s Mzansi Super League eliminator against the Paarl Rocks at the Wanderers. 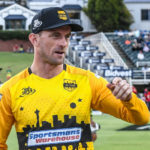 The business end of the Mzansi Super League continues at the Wanderers on Friday, when Stars and Rocks will battle for a berth in Sunday’s final against the Cape Town Blitz at Newlands. 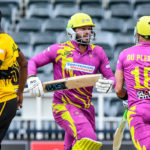 Captain Albie Morkel had the consolation of victory as the Durban Heat ended an otherwise disappointing Mzansi Super League campaign with a win over the Tshwane Spartans at SuperSport Park in Centurion on Wednesday.